Spring is definitely here! Some people know it has arrived when the crocuses start peeking through, others when spring cleaning is accomplished. 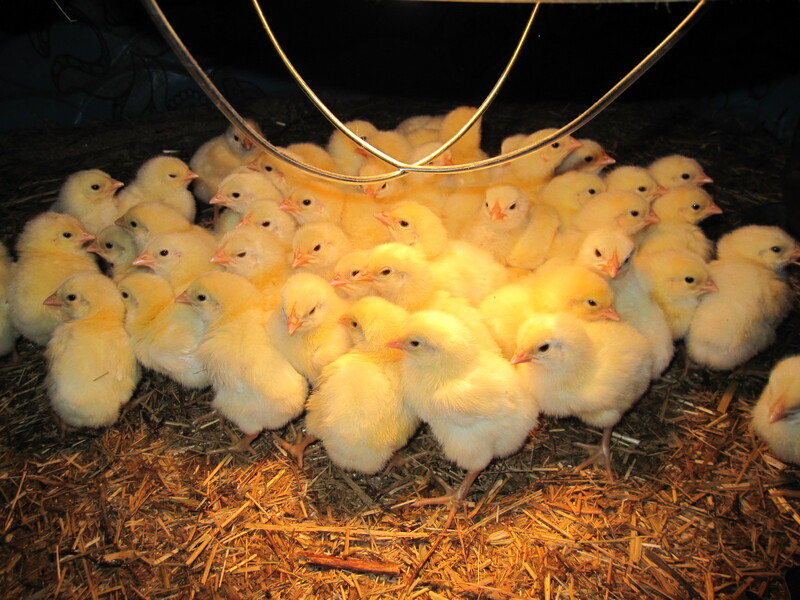 I finally feel like spring has sprung when our baby chicks arrive. Which they did yesterday. Cute huh? And hungry very hungry. I have also been working steadily on my This Sheep’s for Ewe sweater. I have it all put together and blocked I just need to put the sheep on and write out the pattern. Hopefully I’ll finish it this weekend. 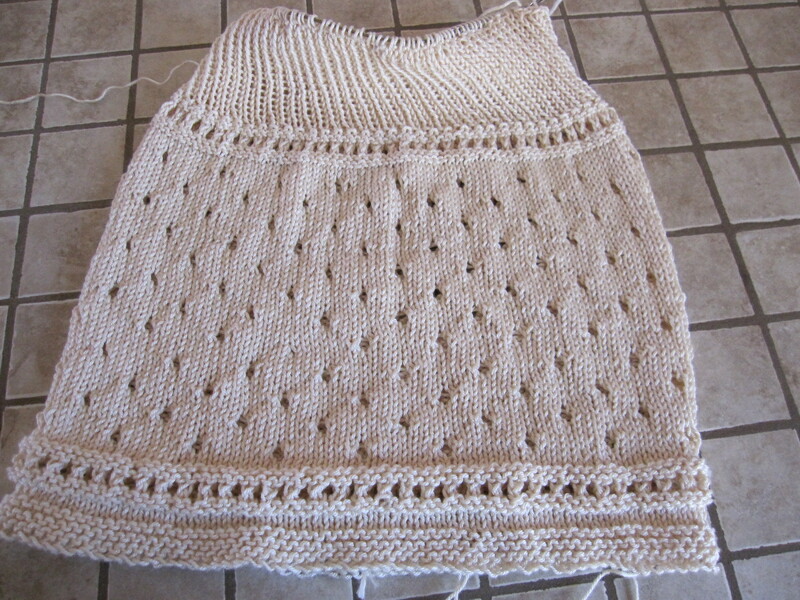 I also started an infant dress. This may be the first pattern I offer for sale. I wanted something that would grow with the child and also span the seasons. I’m happy with the way it’s turning out, although I did frog it back to the skirt part because I wasn’t satisfied with the bodice. I’m happier now. My daughter and I are doing the February Lady sweater together. I’m really excited about this. It’s the first project we’ve done together in a long time. It’s also the first project I’ve done for myself since getting pregnant.